Like the last jam, I'm going for something simple. DFEngine works, but it's not at a point where I feel like I can do a ton with it. I think the biggest reason for this is that it take s a while to get things done still. Things are slowly getting better on that front, but it definitely places a big restriction on me when I'm jamming. 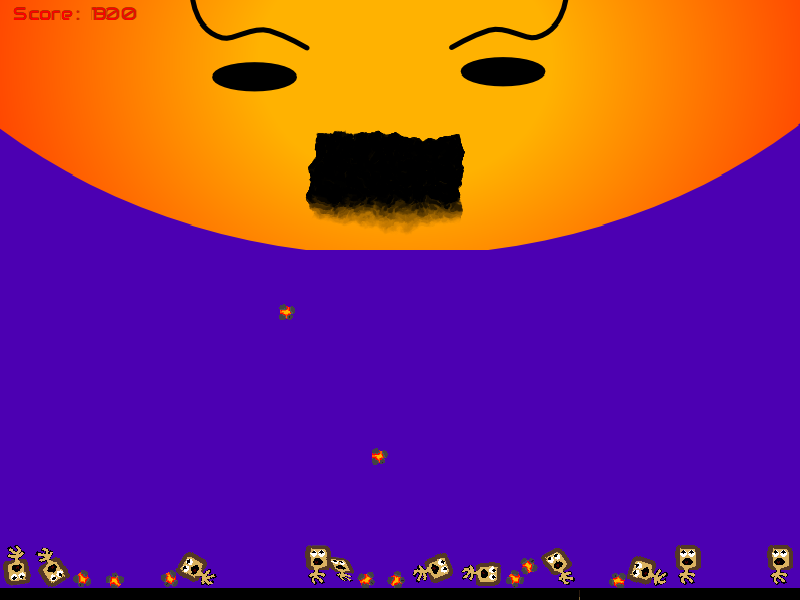 Here's my game so far, which I've affectionately named 'ANGRY SUN AAAAAARGHHHH!!' The sun has gotten tired of setting, and now it's taking vengeance on humankind. So far, there's no way to win or lose, just fire big molten rocks at random civilians and rack up points. I might keep it that way.